Champions Manchester City will be looking to further advance their title defense with a trip to London this weekend. 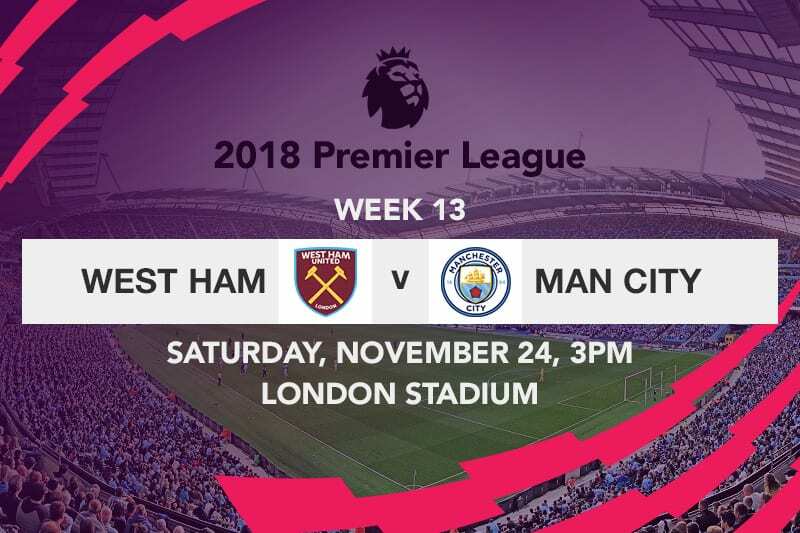 The Citizens will line up against former manager, Manuel Pellegrini, when they take on West Ham United on Saturday afternoon at the Olympic Stadium. Pep Guardiola’s charges return back to Premier League action on the back end of a stunning 3-1 victory in the Manchester derby, right before the international break. 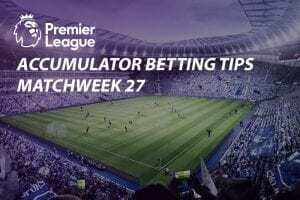 Manchester United had every reason to draw encouragement from their emphatic comeback wins over Bournemouth and Juventus in the run up to the derby, but City were in cloud nine having scourged Southampton and Shakhtar Donetsk with a 12-1 aggregate win in their last two matches. The hosts were brutal from the offset, as they went ahead in the opening twelve minutes through David Silva. Raheem Sterling, who had a field day on the left wing, teased Ashley Young before curling a deep cross to Bernardo Silva. Having run out of angle due to the pace of the cross, the Portuguese international cut the ball back to Silva who controlled it with his left foot before acutely scoring with a right footed strike; all this happening amid a penalty appeal following a Chris Smalling foul on Sergio Aguero. There were very few complaints when City doubled their lead three minutes into the second half, as it was no more than what their performance had merited thus far. Collecting the ball from 40 yards out, Aguero made a bullish run on the right, exchanging passes with Riyad Mahrez before delivering a rasping right-footed finish that sailed through the hands of David de Gea at the near post. United however had a sting of their own, as they came bursting back into the match moments before the hour mark courtesy of Anthony Martial. Romelu Lukaku, having just come on, won a penalty for the visitors after the Belgian was brought down by Ederson. Having earned a recall back into the France national team, Anthony Martial was never going to miss from the spot, as the 22-year old sent the City goalkeeper the wrong way to trim the deficit with his sixth League goal of the season. What will come of Manchester City’s Champions League run? Wary of memories from last season’s comeback that saw the hosts give away a two-goal lead to lose 3-2 at the Etihad, the Citizens upped the tempo; rounding up a dominant derby performance with an Ilkay Gundogan goal late in the second half. Coming on for Aguero with a quarter of an hour left on the clock, the midfielder brilliantly controlled Bernardo Silva’s pass before driving the ball past a hapless de Gea; United all to blame after some incredibly slack defending. Earning three vital points against what would ordinarily be a tough opponent was an impressive feat, none more so than because it was in one of the most contemplated derbies in the football calendar year. 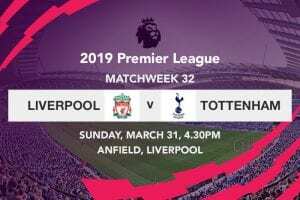 After an evenly matched start to the campaign, Pep’s side, on 32 points, is seemingly drawing further away from the chasing pack, having already set up a two-point lead over closest challengers Liverpool. Be that as it may, Liverpool and Chelsea- much like Manchester City- remain unbeaten in the Premier League this season. The Hammers on the other hand had to dig deep in order to earn a point away to Huddesfield Town before the international break. 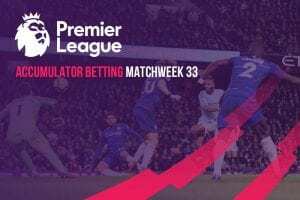 Alex Pritchard put the hosts ahead in the sixth minute, but the Terriers couldn’t hold on for what could have been only their second win of the campaign, as they conceded to a Felipe Anderson goal in the 74th minute. West Ham as such remains 13th on the log with 12 points, a staggering 20 points behind leaders Manchester City ahead of their match this weekend. Manuel Pellegrini’s could welcome the return of Andy Carroll and Jack Wilshere who have both been sidelined with ankle injuries, but the Chilean manager will have to make do without defender Ryan Fredericks for the rest of 2018 due to a shin injury. Kevin De Bruyne and Benjamin Mendy will further stretch their absence from the City squad due to various injuries, although Pep will get hot under the collar as the availability of Bernardo Silva has been cast in doubt, following the midfielder’s return from the international break with an injury. The current EPL champions are in quite the form and look set to dominate the encounter from start to finish.